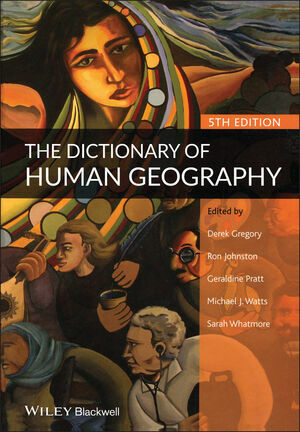 With clear, critical, and constructive surveys of key terms by leading researchers in the field, The Dictionary of Human Geography, fifth edition, remains the definitive guide to the concepts and debates in human geography. Derek Gregory is Professor of Geography at the University of British Columbia, Vancouver. Ron Johnston is Professor of Geography at the University of Bristol. Geraldine Pratt is Professor of Geography at the University of British Columbia, Vancouver. Michael J. Watts is Professor of Geography at the University of California, Berkeley. Sarah Whatmore is Professor of Environment and Public Policy at the University of Oxford. Preface to the Fifth Edition. How to Use this Dictionary. Comprehensively revised to reflect the changing nature and practice of human geography and its rapidly developing connections with other fields. For the first time, a consolidated bibliography is included at the end of the Dictionary rather than scattered across individual entries - an invaluable resource in its own right for anyone conducting a bibliographic search - and this, together with the detailed index and the systematic cross-referencing of headwords, provides a crucial second architecture for the primary, alphabetical ordering of the Dictionary.